The Vets on the Farm Internship Program has been created to connect experienced mentor farmers with military veterans and active duty personnel interested in exploring agriculture as a career path in Spokane, Stevens, Lincoln and Whitman counties. U.S. honorably discharged military veterans, reservists and active-duty personnel interested in this program will be connected to experienced farmers in the region to learn one-on-one about the intricacies of operating a small to large-size agricultural operation or business. 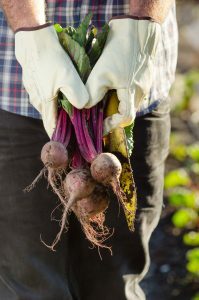 This program has been developed through a partnership with the Spokane Conservation District, their Vets on the Farm program, WSU Spokane County Extension, and the WSU Food System’s Cultivating Success Program with funding from a grant from the WSU Risk Management Education Center. Download the Vets on the Farm Internship Overview PDF packet now! Is a Small Farm in Your Future?